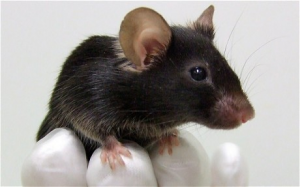 TEL AVIV — Israel has been using mice to detect explosives. An Israeli company has developed a method that uses mice to detect hidden contraband at airports and other facilities. The company, BioExplorers, said the mice could identify anything from explosives, drugs and even cash. Israeli researchers claim mice are more accurate than dogs or x-ray machines at detecting explosives. “The mice can also be easily trained, and thanks to their small size, you can use a small group of them and have multiple sensors,” BioExplorers chief technology officer Eran Lumbroso said. The system was unveiled at the Israel Homeland Security exhibition in Tel Aviv in mid-November 2012. Executives said BioExplorers was briefing governments, police and companies on the technology. Executives said the portable system directs a blast of air toward somebody suspected of carrying contraband. The air that strikes the person is directed into a chamber of eight mice, who sniff and move into another compartment if they detect contraband. Lumbroso, who also founded BioExplorers, said the technology stemmed from his service in the Israel Army in 2000. At the time, the Army sought to use small animals rather than dogs to detect and foil the numerous suicide bombings by such Palestinian groups as Fatah and Hamas. Executives said the system envisions the mice working in shifts of four hours. They said the mice can be trained much quicker than dogs. This entry was posted on Thursday, December 27th, 2012 at 11:25 pm	and is filed under Behavior and Training, Human-Animal Bond, Other Pets. You can follow any responses to this entry through the RSS 2.0 feed. You can leave a response, or trackback from your own site.